floor: 2B + G + 30. Last edited by Halawala; April 9th, 2007 at 09:45 AM. "If Better Is Possible; Good Is Not Enough..."
The tower looks plain, but still useful. I think its 30F, according to the renders and drawing. Thanks guys for the pics and thread. Nothing exciting about this one... But a 30F tower is definitely a nice addition to the towers in the West Bay! a another Hong Kong residential style. I think it can look good. But the location is just awful!! ^ The location is good but the tower itself is ugly. Nothing original about it. The base looks huge and I think it will look big when completed! the point is that its not good to build big towers infront of small ones so it would be cool if low rise is near the cornesh road then behind it with mid ris and bejind all that high rise like barwa tower dubai towers dafna towers etc btw how much diffrence is the hight between dafna towers and umm bab tower ? It depends on your land. 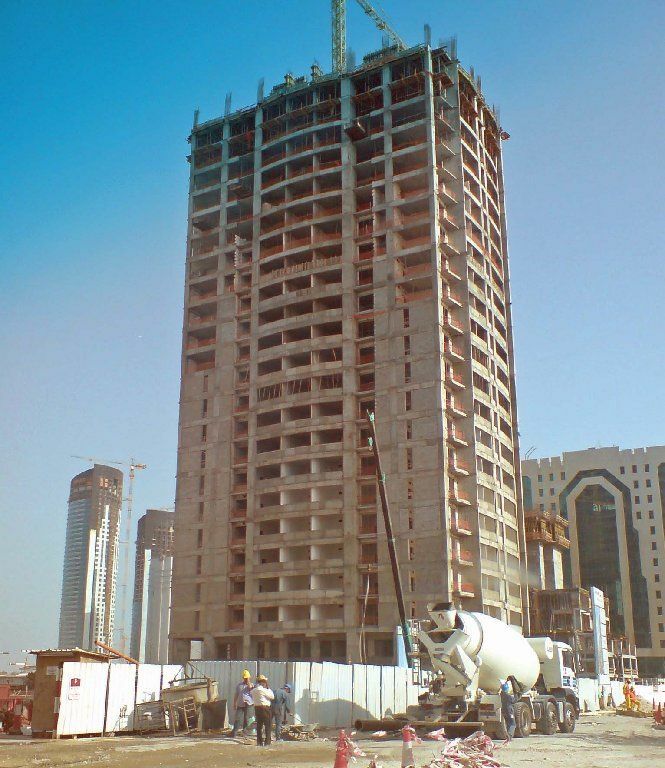 If you own a land behind Dafna tower, you can build a 15 story building or a 150 story building.